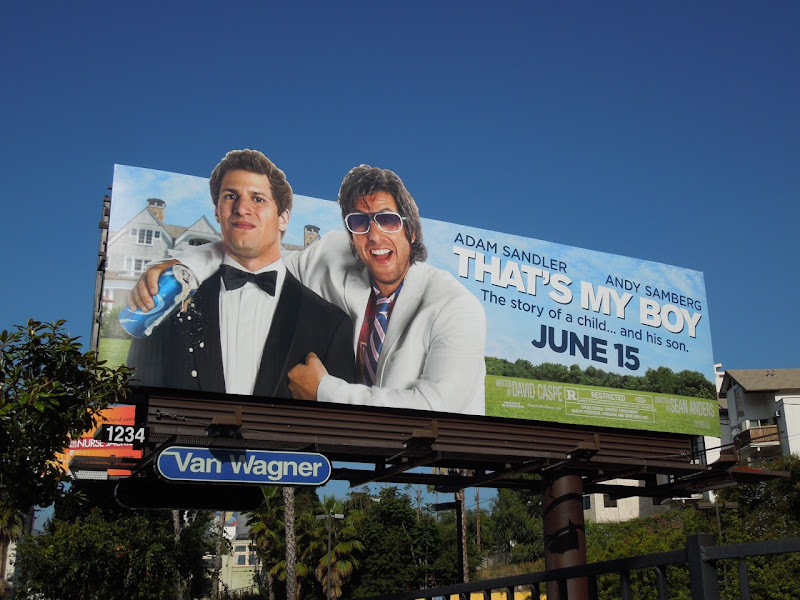 There's nothing like a good comedy, but sadly Adam Sandler's last film Jack & Jill was not, so let's hope he can redeem himself with his latest movie, That's My Boy. At least these giant-sized and special extension billboards look like a lot of fun. 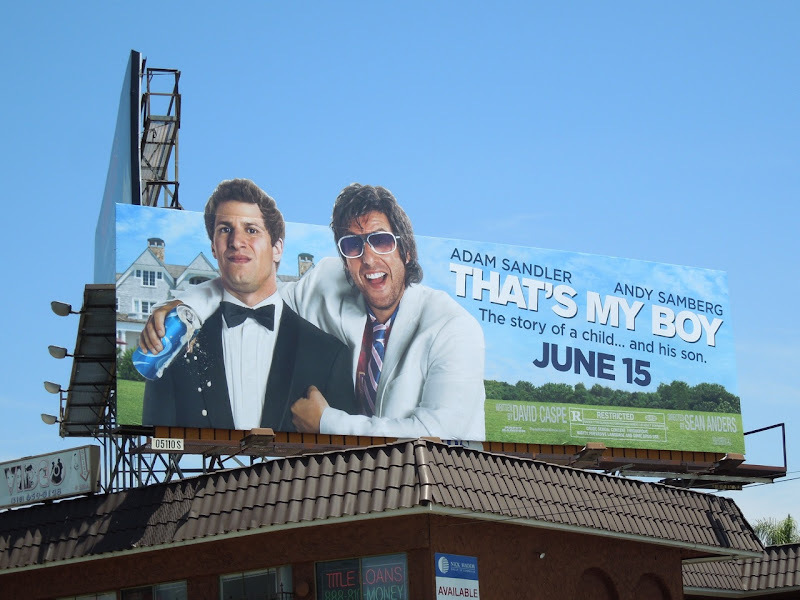 Playing a teen dad who raised his son (Adam Samberg) as a single parent until he was 18, years later in need of money to pay his unpaid taxes and keep him out of prison Sandler's 'Donny' reappears in his successful son's life when he is about to marry. However, from the looks of these billboards his son is not the child in this relationship and he's one father who's never grown up. 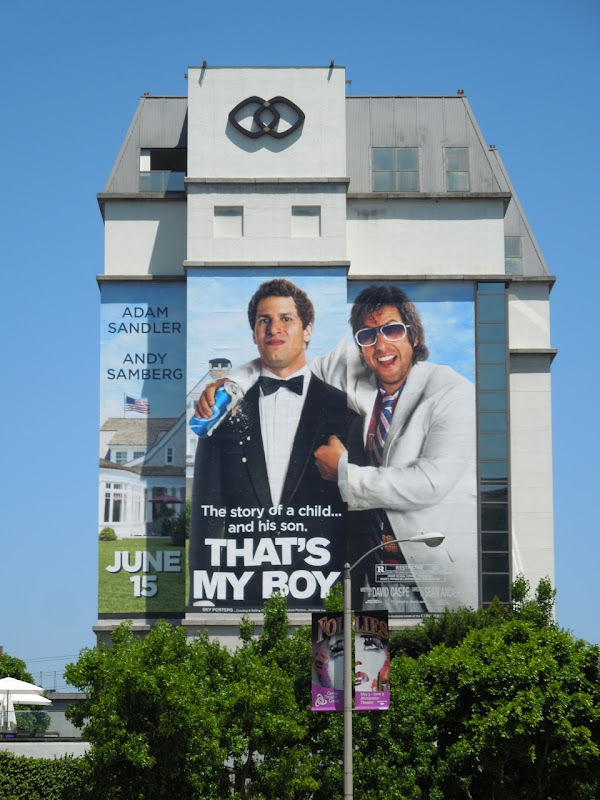 The special extension billboards were snapped along Sunset Boulevard and La Cienega Boulevard, whilst the super-sized version was photographed on the side of L.A.'s Sofitel Hotel along Beverly Boulevard on May 23, 2012.